Multiple types have been placed on the endangered list in recent weeks, and it's a worrying trend for our planet. Scientists have placed seven types of bees in Hawaii on the endangered list, meaning they’re in danger of extinction — and only about a week after report emerged that the rusty patched bumblebee of the Midwest and Northeast United States would also be placed on that list. It’s a worrying trend that threatens one of the most important insects on the planet, if not the most important. The bees in this case are what are known as yellow-faced or masked bees, due to their yellow and white facial markings. Habitat loss, wildfires and invasive plant and insect species are threatening the survival of this once thriving species on Hawaii. And this isn’t just an ecological issue, it’s an economic one. We rely on bees to pollinate fruits and vegetables on farms, so losing species of bees could cost us billions of dollars. “Habitat destruction by fire is a threat,” reads the Federal Register notice on why the species was included on the endangered list. “Randomly occurring events such as hurricanes and drought modify habitat and remove food and nesting sources for H. facilis. Predation by nonnative ants and wasps is a threat. 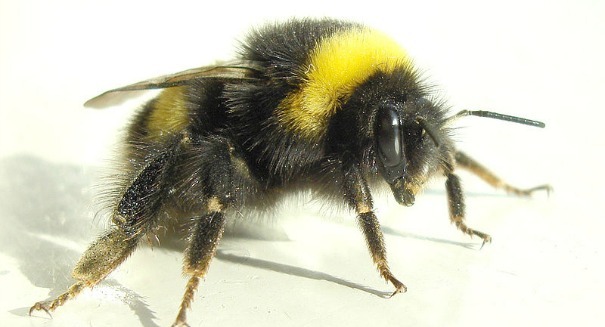 Existing regulatory mechanisms and agency policies do not address the primary threats to the yellow-faced bees and their habitat from nonnative ungulates.